You might not know the Eizo brand, but they are a specialist display manufacturer from Japan best known for making graphic design and medical imaging displays. However they have also been putting out monitors aimed squarely at gamers for some time so any site dedicated to finding the best gaming monitors out there has to include the Foris range in their round up. 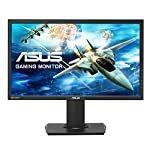 The FG2421 does not sit at the cheaper end of the spectrum but it does offer great quality and some interesting features that you won’t find on many other monitors. For a start, this has a VA based panel which in theory offers a good compromise between the responsive TN based monitors and the faithful colour reproduction of an IPS panel. The VA technology is built to give wide viewing angles, high contrast and decent response times. If you are interested in this model then you will probably want to check out the newer FS2434. The monitor has an interesting look and feel to it, perhaps it’s down to Eizo’s roots in medical screen design, or were they trying to do something that might appeal to gamers? I don’t know. Either way, the FG241 has a minimalist black grainy appearance with a touch of orange colour and snazzy logo that will be mostly hidden round the back – probably a good thing. 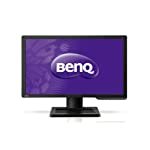 The screen has anti-glare protection which is a must for anyone who doesn’t like the glossy affect seen on some monitors. The stand does have the usual tilt, swivel, and limited height adjustment. But these can be stiff to adjust and are limited compared to other premium monitors. For example there is no portrait mode, but perhaps that’s OK when looking for a gaming monitor, most of us will be blasting away in standard wide screen. Connectivity is great, you have the choice of any of the three modern standard HDMI, DVI or DisplayPort sockets. Note that some owners have reported only a DisplayPort cable is supplied in the box, so you might want to check this out and prepare accordingly. Note that whilst we have categorised this in the 24″ section of the site, it is actually described as a 23.5″ screen. The FG2421 is aimed at gamers for sure, with a 120Hz refresh rate, assuming your card can render frames fast enough, you’ll enjoy a smooth image that will make you wonder how you ever coped with your old 60Hz monitor. You’ll also notice that the monitor offers a 240Hz “turbo” mode. This is actually an anti-blur system that works well to produce a sharper and smoother image when gaming. It works by doubling up from 120Hz and holding each frame whilst switching the back light off between cycles. 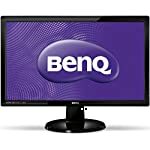 So essentially you are still only looking at 120 unique frames but the effect tricks your eye into seeing a smoother output and hopefully an experience closer to the old CRT style monitor. The feedback from owners on this is very positive, it does really seem to make a difference. The VN panel gives us superior colour performance when compared to similar TN panels, but the default profile is disappointing, it is understandable that it might not compete with a IPS based screen but it should be able to do better. Fortunately colour calibration is assisted via downloadable profiles using the ScreenManager Pro for Gaming application. 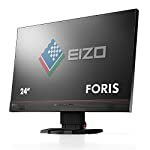 The Eizo Foris FG2421 is a top quality monitor and whilst the stand and colour reproduction could be better for a screen at this price point the refresh rate and turbo mode coupled with the overall quality make this a good screen for gamers. We give the Eizo Foris FG2421 a 3.5 out of 5 rating. Want to know what existing owners of the monitor think? You can read real user reviews here. Should I buy the Eizo Foris FG2421? The FS2421 isn't currently available, you might want to consider the newer model, the FS2434 instead. If you are having some doubts about this purchase then why not read some real owner reviews and see what other buyers think. Welcome to the Eizo Foris FG2421 FAQ. This section attempts to answer common questions you may have, please get in touch if you have any more queries or if you think our answers need updating. Does this monitor suffer from glow? This is not a problem, the VA panel has very little glow and the blacks appear very black. 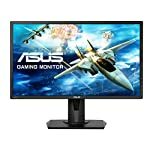 Does the FG2421 support 240Hz input streams? No, the monitor takes 120Hz and upscales it. You’ll only see 120 unique images every second, but each is shown twice to give a clearer and smoother picture.